Dyfi Estuary: storm brewing up over Glandyfi, from Gogarth. 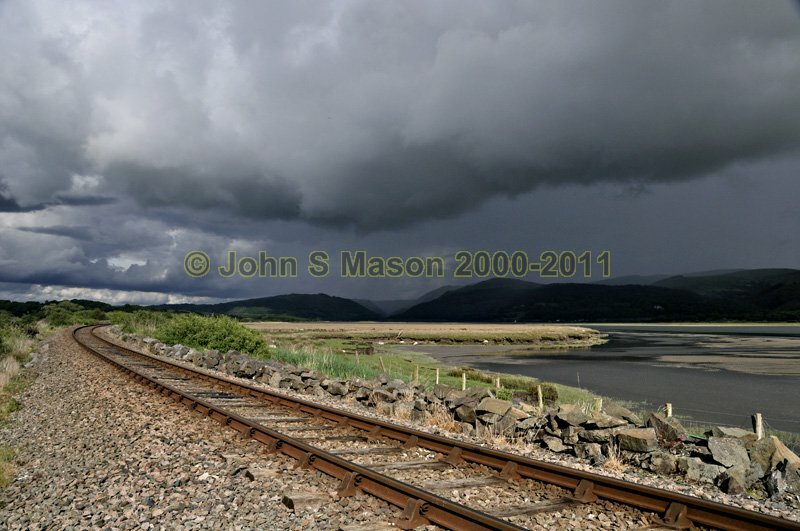 Cambrian Coast railway line in foreground. Product number 061032. Email me to enquire about this image: click HERE.